Shopping for home insurance can be stressful. You want to make sure you’re purchasing the right coverage to protect your greatest asset,while also getting a competitive rate. Hiring an insurance broker can help you navigate the process more confidently, but it never hurts to know the basics yourself. Here are three of the most common types of home insurance coverage explained. A named perils home insurance policy is one that will only cover your property against perils specifically named in that policy. For example, if you only want to be covered in case of fire or flood, you can purchase fire and flood insurance. This type of policy is usually more vulnerable than others. The benefit of having named perils insurance is that it is the least expensive of the home insurance policy options. The downside is that the insurance only covers you in specific situations - if you have coverage for hailstorms, but your insurance company concludes your property damage was caused by a windstorm, your claim would be denied - so it is also the least useful. 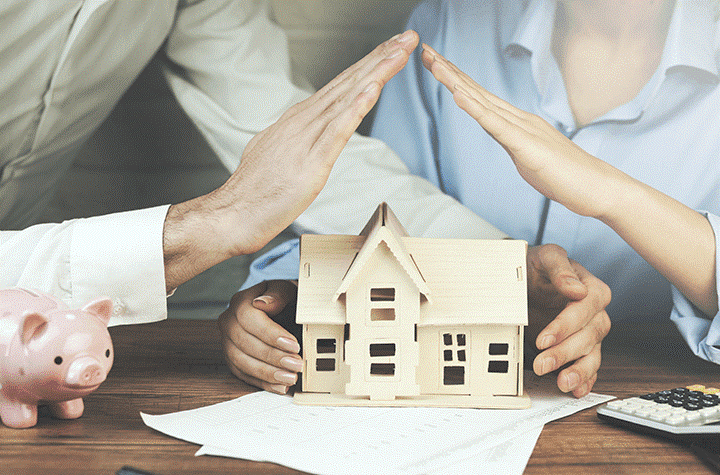 Comprehensive insurance, as the name implies, is insurance that covers your home and its contents against all risks that have not been specifically excluded from the policy. Some examples of specifically excluded risks are terrorism, war, avalanche, etc. Because these risks are minimal in Canada, many homeowners find the exclusions have little impact on their ability to make a claim. This makes comprehensive insurance one of the best types of insurance for an average Canadian homeowner. Still, before you sign a comprehensive insurance policy, ask your insurance broker to explain the exclusions. And lastly, a word of caution – comprehensive coverage often includes limits on claims, so if you have expensive jewelry, a pricey coin collection or other valuable objects, talk to your insurance broker about purchasing supplementary coverage. Broad form insurance can be described as comprehensive insurance for your home, and named perils insurance for your contents. With broad form insurance, your property is covered against all risks, except those specifically excluded (terrorism, war, etc.). However, unlike comprehensive insurance, the contents of your property are not covered under the policy unless a risk is specifically named. Broad form insurance may be suitable if you own a home, but have little of value in the home. If you only want to insure your contents against a burst pipe, you could name that peril in a broad form insurance policy to ensure coverage. As with named perils insurance though, your claim will be denied if your insurance company determines the damage came from a flood or fire (not covered), instead of a burst pipe (covered). As a middle ground between named perils insurance and comprehensive insurance, the cost of broad form insurance generally falls in between the two. Purchasing home insurance is complicated. By knowing your options and talking with your broker about the pros and cons of each policy, you can rest assured that your home insurance coverage is right for you.